I just attended the Robert Wood Johnson Webinar entitled, "Learning Curve: What You Need to Know about the Elementary and Secondary Education Act (ESEA)". 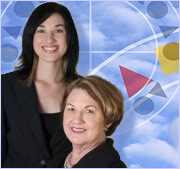 It is part of their new webinar series entitled, Making the Grade: Reversing Childhood Obesity in Schools. Today's title was a little misleading so I wasn't sure it was one that I wanted to attend. I opted for the on-demand recording so I could slip out invisibly. It was filled with timely updates on a number of topics and research on successful Physical Activity Programs. Needless to say, I attended the whole hour presentation. Some information that was shared that may be of interest. 1) PEP grant applications are moving forward and will likely (I'm cringing because nothing is "likely" with the Dept Ed.) be out in the next couple of weeks. That would make it around the end of May. You know that usually means expect it mid-June. 2)A fair amount of time was spent on a physical activity program called, "Instant Recess." I had the opportunity to see it in action when I attended an Active Los Angeles Meeting a few months ago. The program was developed by Dr. Yancey from UCLA. Here's the best part of Instant Recess. It's FREE. 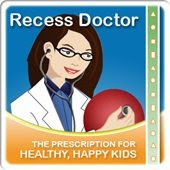 Instant Recess is described by its developers as a series of music-driven activity break CDs and DVDs based on basic aerobic, resistance and stretching movements. The webinar had lots of additional information if you want to know more perhaps you should attend the on demand webinar at the link here.